Sensory problems are common to autism spectrum disorders. Some individuals with autism may injure themselves repetitively – for example, pulling their hair or banging their heads – because they’re less sensitive to pain than other people. 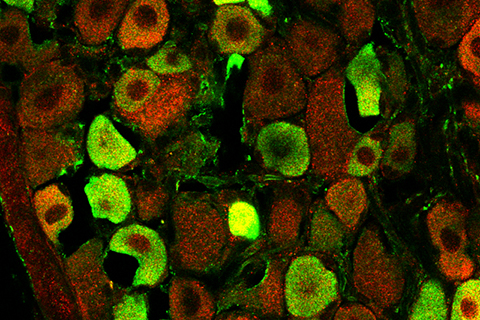 New research points to a potential mechanism underlying pain insensitivity in autism. The study, conducted by two teams at Duke University and appearing online in December in the journal Neuron, is the first to connect autism to one of the most well-studied pain molecules, called TRPV1 (transient receptor potential ion channel subtype V1), which is a receptor for the main spicy component of chili peppers. “Not enough research has been done on the mechanisms driving sensory problems in autism, but it’s important because sensory processing probably affects to some degree how the brain develops,” said co-author Yong-hui Jiang, associate professor of pediatrics and neurobiology at Duke. Jiang collaborated with Ru-Rong Ji, professor of anaesthesia and neurobiology and chief of pain research in Duke University School of Medicine’s Department of Anesthesiology. In a study published earlier this year, Jiang and other collaborators at Duke described a mouse model of autism in which they deleted a prominent autism gene called SHANK3, which is mutated in 1 per cent of people with the disorder. These mice show several features of autism, including social deficits and excessive self-grooming. That study did not examine pain. But about 70 per cent of individuals with autism or a related disorder called Phelan-McDermid syndrome who have mutations in SHANK3 are known to have sensory processing problems, according to Jiang, who treats children with autism at Duke’s Children Hospital & Health Center. In the new study, Ji’s group put SHANK3-deficient mice through a battery of sensory tests, finding that the animals had lower sensitivity than normal mice to heat and heat-related pain – akin to the soreness a person feels after a sunburn. The scientists found that TRPV1 and SHANK3 are actually present together in sensory neurons of the dorsal root ganglion, and that they interact. In the mice missing SHANK3, TRPV1 never makes it to the cell surface, where it normally does its job. Missing even half of normal level of SHANK3 drastically lowers TRPV1’s ability to transmit pain signals, suggesting that SHANK3 is a crucial molecule for pain sensation. SHANK3 is better known for its role in the brain. It is found in the tiny clefts called synapses where signals are passed from one neuron to the next. Until now, it was believed to be present only in the receiving end of the synapse, called the postsynaptic terminal, where it acts as a scaffold to secure specific receptors that receive chemical messages. “That changes our understanding of how these two components (of the synapse) work together to contribute to autism-related behaviour and will change how we develop effective treatments,” Jiang said. 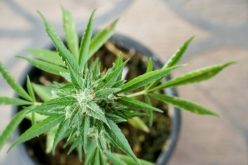 TRPV1 blockers are already the focus of intense research and development, but these compounds come with side effects. The new study suggests a more specific way to block TRPV1 – through its interaction with SHANK3 – in order to avoid these side effects, Ji said.